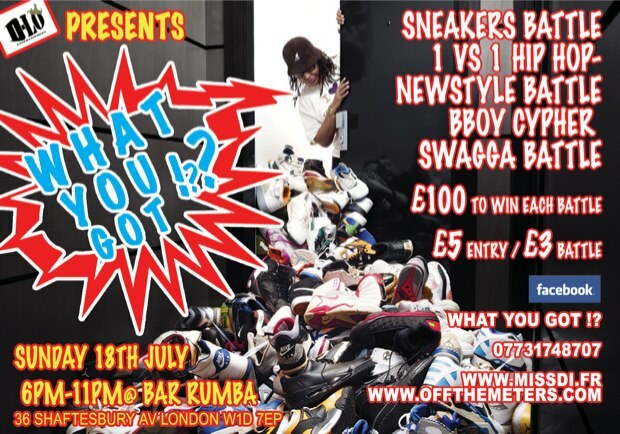 This sunday Bar Rumba on Shaftesbury avenue opens up its doors to host a unique event, a sneaker battle! Attention sneaker heads, its time to dive into the vaults and pick out that pair of fresh creps that haven’t seen day light for months. A sneaker battle seems to be the perfect place to show off your best, as you can see from the flyer above a lot more is going on on the night so if like me you are bored of dull sunday evenings then this might be a nice alternative. All info can be found on the above flyer, or you can check out the Facebook page set up for the event for more updates and information. Time to get my crocs and reebok classics out i think!! !